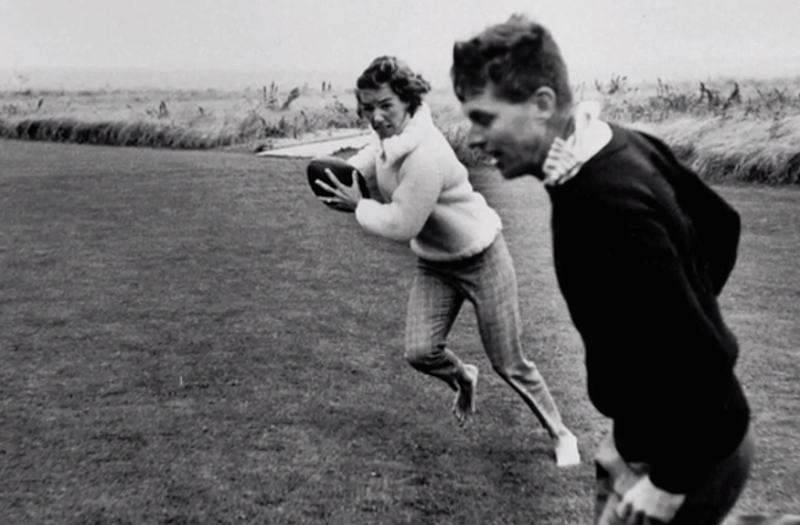 Film still of Ethel Kennedy playing football with RFK from the 2012 film Ethel. "A lot of parents will let their kids beat them in sports to encourage them, but she wouldn't do that. That wasn't part of her parenting philosophy. "—Robert F. Kennedy, Jr. I think the tomboy spirit is one that faces the worst of fears head on...I could not imagine having to do so with the whole world watching. Such a tremendous woman.